Shavua tov! Looking forward to Pesach! Shavua tov — a good week to you! This is a special week indeed, because it culminates not only in Shabbat, but also in Pesach, the festival of our liberation. At Pesach we gather to retell the story which is most central to who we are. “Once we were slaves to a Pharaoh in Egypt, and the Holy One of Blessing led us forth from there with a mighty hand and an outstretched arm…” The haggadah teaches that in every generation, one must see oneself as though one had personally been liberated — not just our ancestors once-upon-a-time, but also us, even now. Every year someone asks me whether I think our people were actually, historically, slaves to a Pharaoh in Egypt. I suspect we probably weren’t — at least not in the way that our story indicates. But to me, that question misses the point. What’s important to me is that this is the story which we have told about ourselves for thousands of years. This is the story around which Jewish peoplehood coalesced, the story that makes us who we are. Once we were enslaved, and now we are free. Once we lived in constriction, and now our hearts know expansiveness. Once we labored under cruel conditions (whether enslavement to a Pharaoh, or grueling credit card debt, or the emotional straitjacket of grief) and now we are given the opportunity to let our hearts open and to feel ourselves free. I love Pesach not only because I love the songs (though I do! ), not only because I love the foods (though I do! ), not only because I love my memories of childhood seders with my extended Texas family (though I do! ), and not only because I love the fact that this is a dinner party centered around storytelling, poetry, and song (though I do!) I love Pesach because its message speaks to me anew every year. Where have you felt enslaved in the last year? And what changes would you need to make — in the tangible practical world, in your emotional world, in your mind, in your spirit — in order to experience freedom as we ring in Shabbat and Pesach this Friday night? If you’re in need of a free, downloadable, printable haggadah for the first night of Pesach, you’re welcome to peruse The Velveteen Rabbi’s Haggadah for Pesach. 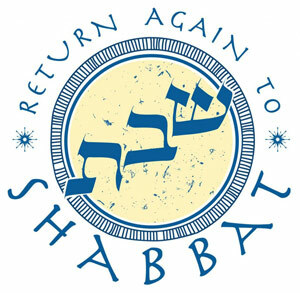 Join us on Shabbat morning at 9:30am for Shabbat and Festival morning services which I will lead. We’ll sing the usual prayers of Shabbat, plus the celebratory psalms of Hallel, and during the oneg (joyful kiddush) we’ll delve into a Torah study text about Pesach. And join us on Shabbat evening at 6pm for our Second-Night Community Seder (which I will also lead.) Please, if you are joining us and have not yet RSVP’d, let the office know today! And please sign up for one of the many volunteer opportunities which happen around the seder; contact Steven Green and Rose Ellis to volunteer, or reach out to us at the synagogue office. Shavua tov! Looking forward to Shabbat Tzav. Shavua tov – a good week to you! This week we’re reading the Torah portion known as Tzav, the second Torah portion in the book of Vayikra (Leviticus). And here’s the URJ’s compilation of commentaries on this week’s Torah portion: Tzav| URJ. This coming Shabbat morning, March 28, services will be led by Rabbi Pam Wax. Many thanks to our shamashim, the members who host our Shabbat services each week. If you would like to join that group, please contact Pattie Lipman. We hope to see you soon at CBI! Here’s the d’var Torah which Rabbi Rachel offered yesterday at CBI for parashat Vayikra. They begin with וַיִּקְרא אֶל-מֹשֶׁה , “and God called to Moses” — which is to say, with Leviticus, the book of the Torah which I suspect most modern Jewish adults like the least. Sprinkled blood and burnt kidneys and laws about nakedness — it couldn’t be further from the post-sacrificial Judaism we know and cherish. Many scholars and rabbis and literary critics make the case that Torah has a chiastic structure. In a book with a chiastic structure, the most important part is not the beginning or the end, but what’s in the middle. Leviticus is in the middle of the Torah: ergo it’s the most important part. The scholar Mary Douglas argued that Leviticus too has a chiastic structure, which tells us that the most important material in Leviticus is in the middle: the holiness code, which exhorts us to be holy as Adonai our God is holy. Leviticus is the heart of Torah, and holiness is the heart of Leviticus. And what is at the heart of the quest for holiness? וְאָהַבְתָּ לְרֵעֲךָ כָּמוֹךָ: אֲנִי ה׳: “and you shall love your neighbor, your ‘other,’ as yourself: I am Adonai.” (Leviticus 19:18.) It may not be exactly the verse in the dead-center middle of the Torah, but it’s close. “Love your neighbor as yourself; I am Adonai” (Leviticus 19:18). There is a Chasidic interpretation of the last words of this verse: “I am Adonai.” – “You think that I am far away from you, but in your love for your neighbor you will find Me; not in his love for you but in your love for him.” He who loves brings God and the world together. The meaning of this teaching is: You yourself must begin. Existence will remain meaningless for you if you yourself do not penetrate into it with active love and if you do not in this way discover its meaning for yourself. Everything is waiting to be hallowed by you; it is waiting to be disclosed and to be realized by you. For the sake of this, your beginning, God created the world. This seems a far cry from dismembering animals and burning them on the altar. But for Torah, there’s no disjunction between bringing a calf to the Temple to make up for having committed a wrong, and this lofty injunction to love each other and to be holy like Adonai. Our deepest values aren’t separate from the messiness of everyday living: they’re expressed in and through that messiness. Today we’re beginning a new book of Torah, the one in the very middle. And today I’m beginning a new “book” in the unfolding Torah of my life — the book of being forty. Forty’s a big number in Jewish tradition. The flood lasted forty days and nights; Moshe spent forty days and nights atop Sinai; the Israelites spent forty years wandering in the wilderness. In the rabbinic imagination, forty was a number of fruition and completion: for instance, the number of weeks between conception and birth. Forty is an ending and a beginning. In antiquity, someone who was forty was getting on in years. Today, not so much. Perhaps I’m entering the Leviticus of my own life: I’ve lived for twoscore years, and I can hope for at least twoscore more. I’m at the beginning of the middle. Birth is a new beginning, and its holiness is obvious. Death is an ending, and its holiness too is clear. But where is the holiness of the great grey middle? The holiness of the middle may be hidden, disguised beneath logistics and details. In Leviticus, those details are sacrificial, calves and turtledoves and grain offerings going up in smoke. In my life, those details are committee meetings and playdates, preparing for Passover and teaching Hebrew school. But Leviticus comes to teach us that there is holiness, and there is love, even here in the middle of things. Maybe especially here in the middle of things. Today is the vernal equinox: another kind of middle, the mid-point between the shortest day of the year and the longest day of the year. Here in the Berkshires winter hasn’t quite let go, and warmth hasn’t quite begun; we’re balanced, like the planet, between one season and the next. A perfect time to look back on the winter now ending, to cherish its sweetness and let go of its bitterness, as we ready ourselves for Pesach and the coming spring. A perfect time for me to look back on the forty years now ending, to cherish their sweetness and let go of their bitterness, as I ready myself for whatever comes next. May the Holy One of Blessing open our hearts to the continuing journey which is no longer beginning, and not yet ending, but contains beautiful twists and turns along the way. May we be enlivened as we begin this new chapter of Torah — and this new season. May we rejoice in finding the holiness hidden right here, in the middle. Two weeks until Pesach! Please RSVP. Tomorrow is Rosh Chodesh (New Moon of the month of) Nissan, which means the first seder is two weeks from tonight! 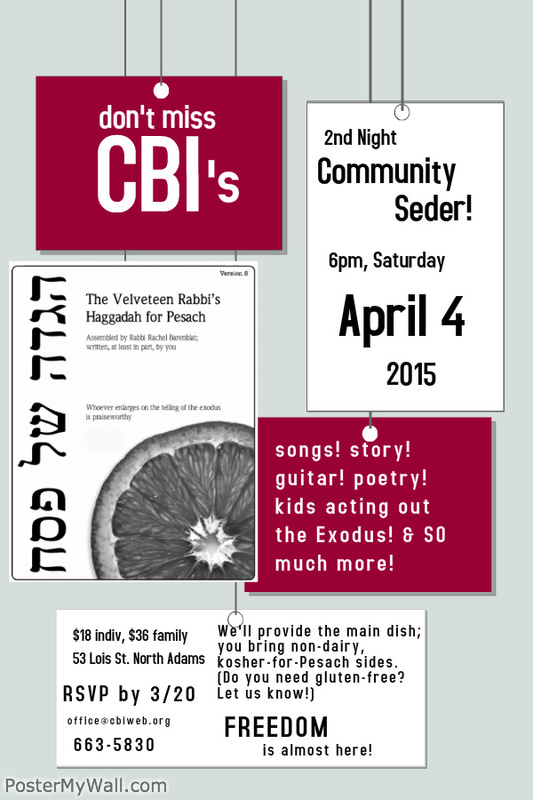 If you are joining us for our second-night community seder at CBI on Saturday April 4 (information below), please RSVP to the office today if you can, so that we can appropriately plan for ordering the kosher chicken which will be our main dish. We welcome RSVPs also for two pre-Passover experiences. Jen Burt will be leading a workshop in baking your own matzah in the CBI kitchen on Monday March 30. Making matzah is super-easy — all you need is flour, water, and a very short period of time! — and we’ll make some matzot for our home seders and perhaps also for the synagogue seder as well. If you’d like to join us for baking matzah, please let us know. And on Wednesday April 1, Jen Burt will be making homemade gefilte fish in the CBI kitchen. Have you ever wanted to learn how to make gefilte fish from scratch? (Hint: the real thing feels, and tastes, entirely different from the stuff one gets from a jar!) If you’d like to join us for making gefilte fish, please let us know that too. Wishing everyone blessings as Shabbat and Rosh Chodesh approach! What if you could transform stress into ease, worry into trust, anger into love? What if you could open so deeply to the blessing and beauty of every moment, that gratitude becomes your natural state? What if mindfulness were as effortless as breathing? These are some of the questions asked by Brian Yosef Schachter-Brooks. You can listen to and watch some of his teachings on YouTube — see “The Curse Is the Blessing,” Torah of Awakening. 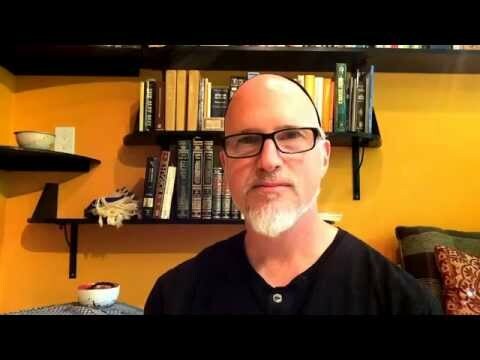 Brian is offering a seven-week e-course in Jewish meditation and spirituality, and all proceeds benefit ALEPH: the Alliance for Jewish Renewal. The seven-week online course costs $21.95. If you’re interested in deepening your contemplative practices while supporting ALEPH, you can learn more (and/or sign up) at Jewish Meditation E-Course. Shavua tov! Looking forward to Shabbat Vayikra. Shavua tov – a good week to you! This week we’re reading the Torah portion known as Vayikra (“And God called”) — the first Torah portion in the new Biblical book by the same name, which we know in English as Leviticus. And here’s the URJ’s compilation of commentaries on this week’s Torah portion: Vayikra | URJ. This coming Shabbat morning, March 21, our davenen will be co-led by Rabbi Rachel and Rabbi David Markus of Temple Beth-El of City Island. Expect lots of music, harmony, and joy! This Shabbat is also a special occasion — Rosh Chodesh Nisan, the new moon of the month which contains Passover — so we’ll also sing the psalms of Hallel. After services there will be a celebratory oneg / kiddush celebrating both Shabbat, and Rabbi Rachel’s birthday. Some happy news became public this week: along with my friend and colleague Rabbi David Markus, I’ve been tapped to serve as co-chair of ALEPH: the Alliance for Jewish Renewal. (See ALEPH: Alliance for Jewish Renewal names new leadership.) Rabbi David and I are humbled and honored to be asked to serve in this way — to have the incredible opportunity of carrying ALEPH and Jewish Renewal forward for new generations. As the news has been percolating around Facebook, a few of you have reached out to ask me: will I still be your rabbi? What does this news mean for CBI? I’m writing today to offer instant reassurance: I will still be your rabbi for as long as y’all want to have me. I am honored and delighted to serve as CBI’s spiritual leader. That won’t change. I believe, and I know Rabbi David agrees, that it’s important for ALEPH’s leadership to be pulpit clergy. ALEPH isn’t only an academic venture: we can’t lead ALEPH from a walled-off place detached from real life. Our Judaism needs to be lived: innovation needs to be effective in touching the lives of individuals and communities, or else it’s not particularly useful to anyone. I think of CBI, and of Rabbi David’s little shul on City Island, and the growing network of other communities led by ALEPH-ordained clergy and aligned with ALEPH’s mission and vision, as living laboratories for the renewal of Judaism. What works at CBI, we can try to bring elsewhere. In that sense, the work I do at CBI is a key part of my ALEPH role. I am always honored and blessed to serve the CBI community. And, I think and hope that the bigger-picture work I’m doing in the Jewish world will bring some prominence to CBI… and my experience at CBI will help me bring more wisdom to my ALEPH work. Perhaps my new role will bring some visibility to our little community in North Adams, and — who knows! — maybe even entice some new members to join us. I hope that I will continue to bring creative and meaningful teachings, interpretations, and practices to our community, as I have done from the very beginning. And when what we do at CBI seems translate-able to a different setting, I will share some of our community’s practices and our community’s wisdom with the broader Jewish Renewal world. For my part, I’ll be spending more of my non-CBI time working with Rabbi David, and my ALEPH colleagues, on striving to bring the spiritual resources of Jewish Renewal to a broader audience. My ALEPH work, like my poetry work, will happen during the “other” half of my time. As I wrote in a blog post recently on my own blog, Velveteen Rabbi, Jewish Renewal has given me incalculable gifts. I look forward to helping to share those gifts with more people — including all of y’all at CBI — in years to come. And I hope that over time I can strengthen the connections between our little community which I love, and the broader Jewish Renewal community where I have found a home. If you have questions or concerns about this, or about anything, please don’t hesitate to reach out — my door is always open.